Learn to Look Good on Paper at the “CV/Resume/Submissions” Workshop! Join Ohio Art League administrative presenters Esther Hall and Julie Abijanac for the fourth workshop of the Symposium Series, “CV/ Resume/ Submissions.” The workshop will differentiate between a resume` and a curriculum vitae (CV) and in which circumstances to use each. Attendants are encouraged to bring laptops so that they can make updates or start their own Resumes and CVs, as they are appropriate for their goals as an artist with the help of experienced professionals. The “CV/ Resume/ Submission” Workshop takes place at CCAD in Columbus on Saturday July 12 from 1- 3 in the afternoon. Don’t miss this opportunity to enhance your marketing capabilities, make great first impressions through submissions, and to establish esteem in exhibits and throughout the community! 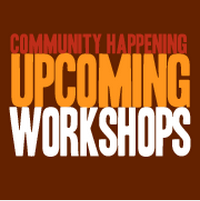 For more information or a look at some of our other upcoming workshops, visit the Ohio Art League site! 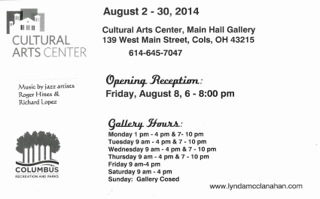 Throughout the entire month of August the Cultural Arts Center will be hosting works by local artist Lynda McClanahan at 139 West Main Street near the Scioto River and you are invited to view it. An artist’s reception will be held on Friday, August 8th from 6 to 8 p.m featuring live jazz by Roger Hines and Richard Lopez. 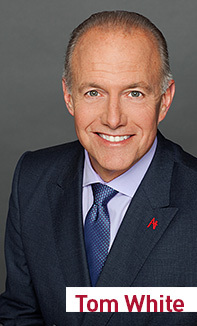 There will also be an, “Art, Coffee and Conversation,” gallery talk on August 21st from noon to 1 p.m.
Tom White has been chosen as the latest president of CCAD by their Board of Trustees. Tom White has experience in the business, art, and teaching fields adding to his many qualifications for this position. We are all excited to have someone as passionate as him on board. Congratulations Mr. White and welcome to Columbus. A unique exhibition that investigates the characteristics and endless possibilities of wood firing, raku, and multiple glaze firings. Looking for a wonderful way to spend a summer evening? 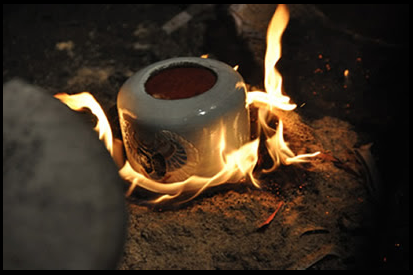 What better way then at a Raku Party! 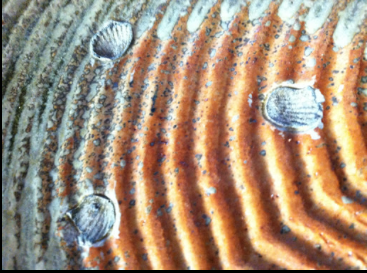 Guests may purchase and glaze a handmade piece of pottery for $40 and watch as it’s fired in our raku kiln. The kiln is heated to 1900 degrees and opened to expose the red hot pottery inside.The work is removed with tongs and placed in metal cans filled with combustible material which is ignited by the hot work. Wiping off the ashes from the fire reveals flashes of brilliance and metallic shine. While you wait for your masterpiece relax & enjoy the gallery show ‘As the Cones Fall’. Join in on the fun; great art, great company, and great creations! Get Serious and Acquire the Competitive Advantage: Join Ruby Harper as she de-mystifies the GCAC application process. Calling all Artists in Franklin County!! Have you been rejected and overlooked in the application process? Learn to stand out with this informative session and one-on-one consultation. “Artists in the Community” is GCAC’s grants and services program designed to support individual artists in Franklin County. Fellowships, supply grants and much more. Ruby Harper, Grants & Services Director will be hosting this informative session where she will de-mystify GCAC’s application process and provide some one-on-one consultation in an informal environment. Please RSVP to dpoelsma@gcac.org to attend this event. Walk-ins welcome, space allowing. This is a great opportunity to clear out an old art bin, or try a new medium out for size. Friday, July 25, 6 – 8 p.m.
Drop by ROY G BIV gallery to REMIX your art supplies. Bring your throwback art materials to trade with other artists for that new-to-you. The swap meet will be followed by an art activity for participants to experiment with their new finds. This is a great opportunity to clear out an old art bin, or try a new medium out for size. The Ohio Craft Museum is Hosting a Night of Clay Sculpting! Join Ashley Bevington July 22nd! From Novice to Expert come out and enjoy a night of creativity! Give it all you got and create a masterpiece to last a lifetime. Already an artist? Share this post with your less creative friends, they will thank you. 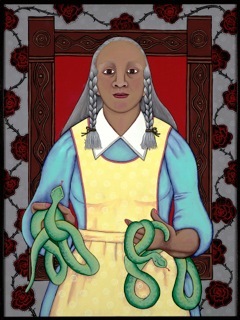 First, you’ll look at her work, American Dream I, featured in Figure It: Forms of Human Expression, our summer exhibition. 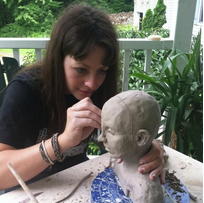 You will learn to sculpt a head and facial features, creating a three-dimensional clay portrait to hang on the wall. No clay experience is necessary. This workshop is $12 for members, $15 for non-members. All supplies and firing are included. Space is limited, so pre-registration is required. To register, call the museum at 614-486-4402 or email education@ohiocraft.org for more information. The Ohio Art League and MadLab Theatre are proud to announce our collaboration in presenting an art exhibit by OAL member Jonah Jacobs! As an artist and observer of natural occurrences, artist Jonah Jacobs’ ceaseless goal to unlock the mysteries of natural structures can be explored during a very special exhibition running July 11–26 at MadLab Theatre. View this exhibition July 11–26 during the theatre production, “The Young Writers Short Play Festival” at 227 North 3rd Street in Columbus. 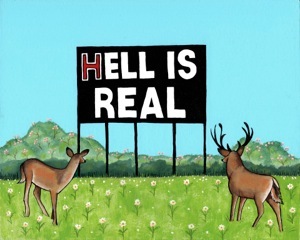 To see more of Jacobs’ work, visit the artist’s website! Click on the MadLab logo to visit their home page! Don’t miss out on the celebration that is Ohio Made! Commemorate Ohio-based artists and crafters while enjoying great food, drinks, and music on September 27, 2014 from 10 am to 5 pm at the Ohio Village. Join us for an award ceremony that will take place on September 26th from 6:30-9pm at the Ohio Historical Society to celebrate Barb Vogel and Kojo Kamau, elders in the community,and recognize award winners. The Award Ceremony / Reception will be catered by none other than Cameron Mitchell Catering! It’s not too late to register for a Vendor Booth or to enter for the Juried Art Exhibition! Visit the Ohio Art League Ohio Made page for details and to sign up! Here are a few of the vendors that have already signed up! The Concourse Gallery in Upper Arlington, a public reception area of the Municipal Services Center is home to the Visual Arts Series. The City of Upper Arlington has dedicated the space to the arts for over 30 years. Each exhibit features interactive pieces such as gallery guides and discussion prompts located throughout the gallery. Interact as a community and fellow gallery-goers in the Concourse Gallery summer exhibition, Remnants of Casualties with works by Ohio Art League member-artists Char Norman and Julie Abijanac. Remnants of Casualties will be on display from July 1 through August 15, 2014. Be sure to attend the Reception on July 11 from 5 to 7 in the evening. Artists Julie Abijanac and Char Norman explore the themes of loss and displacement through mixed media work including paper, fiber, textiles and other natural materials. In the seasons of regrowth and abundance, Remnants of Casualties allows us take a moment to reflect on the slower, more naturalistic approaches to life. Stay posted on upcoming exhibitions by viewing the Concourse Gallery Exhibit Schedule. In the fall, don’t miss Celebrating UA, a community-based exhibition that will showcase two- and three-dimensional works by artists in the Upper Arlington Community. Celebrating UA will exhibit from August 20 through October 28 with a Reception on Thursday, September 18 from 5- 7 pm. Visit the Upper Arlington Cultural Arts Division website for more information and to see how you can get involved!